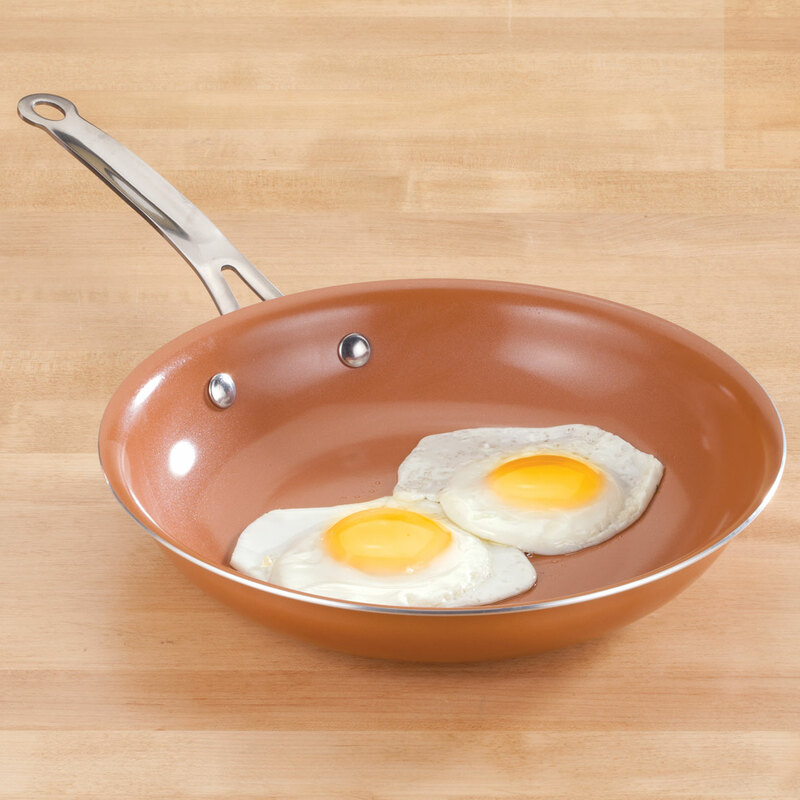 Always wanted to try copper cookware. This is the best kind! Need a new frying pan. Got Tired of food sticking to the pot when I'm cooking. Because of its size and it is ceramic. we have fallen in love with ceramic coated pans since we have a glass top stove and cannot use our cast iron pan. We just thought we would try the copper one because it's one that we don't have in our supply. the price at this time and free shipping. Heard so much about these pans so decided to try . Because I wanted to try this new item. I CHOOSE A NON STICK FRYING PAN AND I LOOK FORWARD TO SEEING HOW IT WORKS. WALTER DRAKECIS EFFICENT IN CHECKING OUR. I have one, like it and want another. It's the size.....can't find 10 inch skillets in the stores I go to. Husband wants to try it. This is just the perfect size for the two of us. It is good quality and cleans nicely. Great price. Read good things about this so I wanted to try it. I just couldn;t pass this item up when I saw it. Always wanted one and here it is. Needed a pan that I could use in the oven as well as the stove top. I have a 10" skillet and it works well, plus this one is induction capable. 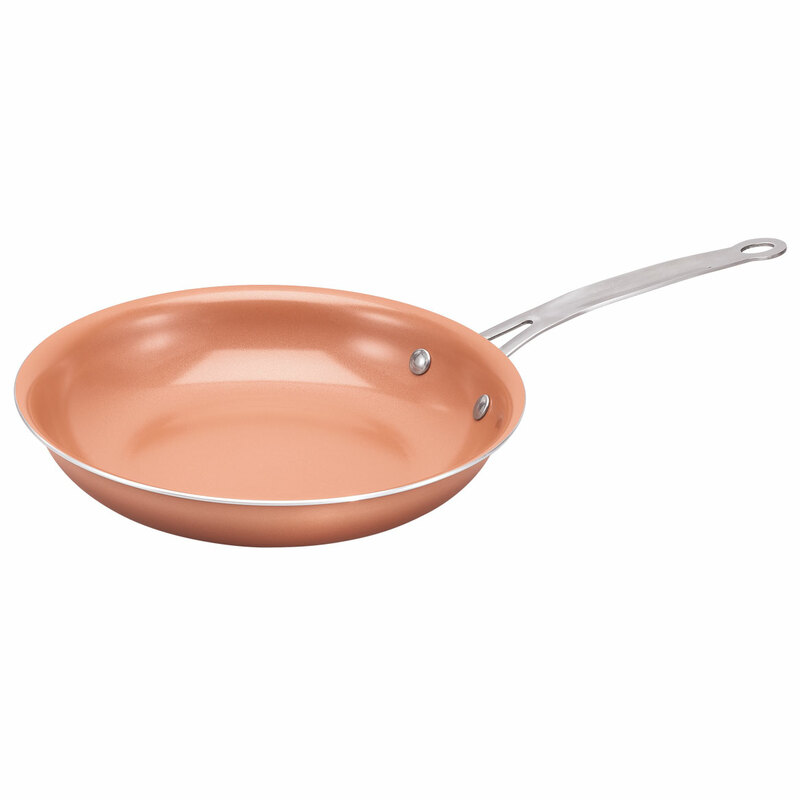 good pan / good price. I have seen it advertised and thought I would try it. My friend is throwing away his non stick black fry pan and wanted to try this one. I bought this mainly to cook eggs. Need a new non-stick frying pan. The fresh possum got to sticking in my old one. Wanted to try this kind of frying pan and this was a good deal.